Here's the latest Joshua Jay Houdini Art and Magic tour, this time all about Houdini's Milk Can escape. Lots of colorful embellishment here by Jay, and some scrambled facts. 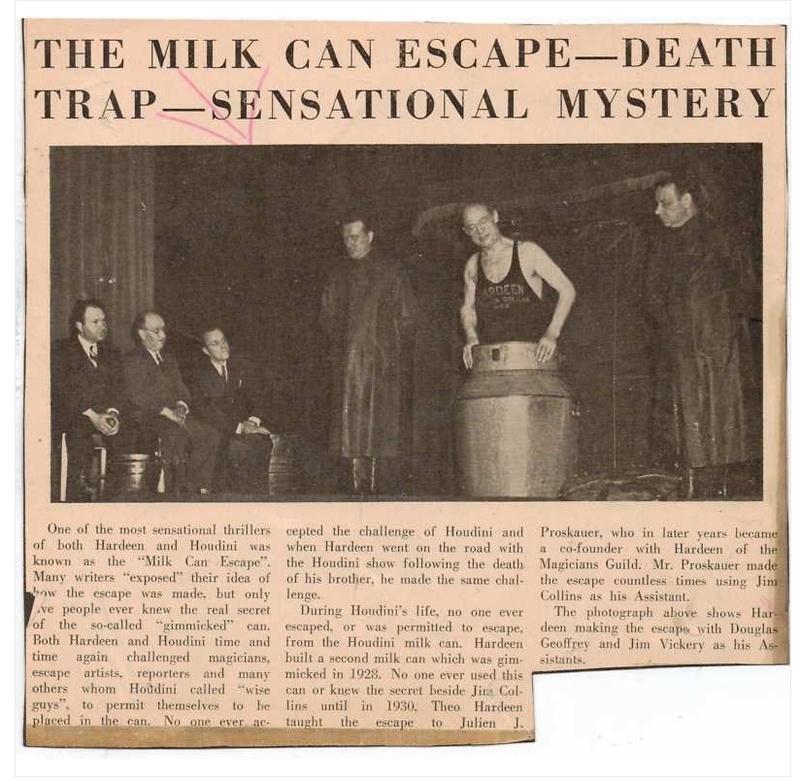 We do know how Houdini did the Milk Can. Also, I'm not certain this is Houdini's "original can." I'm pretty sure that's sitting in David Copperfield's museum. To me this looks more like the can used by Hardeen. You can see a playlist of all of these on the new WILD ABOUT HARRY YouTube Channel. I don't really have a problem with the public not knowing Houdini's secrets. I do know that John Booth suffered a similar fate in a Milk Can escape many many years ago. He fortunately survived and lived to a very old age. Maybe they should put a big sticker on the can which reads "Do NOT DROP!" Oh, I'm not suggesting Jay should have revealed any secrets here. But for him to say twice that "That we don't know how Houdini did it" is just not accurate, and it would have been better if he said nothing. But when you're on camera, I guess your words and thoughts can get scrambled. I feel like he was thinking about the USD, the method of which really wasn't known by many people until relatively recently. That does look like Hardeens Milkcan. The angle of the cans shoulder is steeper than his brothers.